Springtime and warm weather is on the way. Soon enough, you'll be spending more time outside, enjoying the sun while tending to your garden. Now's the perfect time to start thinking about how you'll transform those home-grown vegetables into delicious meals! This delicious recipe, courtesy of Country Living magazine, makes for a satisfying meal on a warm spring afternoon. First, place beets in a steamer basket over a medium saucepan of boiling water. Steam beets until tender - this should take about 20 minutes. Next, make the yogurt sauce. Whisk yogurt, dill, lemon zest, lemon juice, oil and poppy seed mixture in a small bowl. Season with more salt and pepper to taste, and then set aside. Prepare a rimmed baking sheet with parchment paper and heat your broiler to high. Season salmon with coriander, salt and pepper, and place on the prepared sheet. Place under broiler and let cook for 5 to 6 minutes. To serve, place the salmon and beets over a bed of fresh watercress. Dress with yogurt sauce and enjoy! Use your fresh cut asparagus stalks, plus a light homemade Caesar dressing and croutons to create this smoky seasonal dish from food blog Closet Cooking. 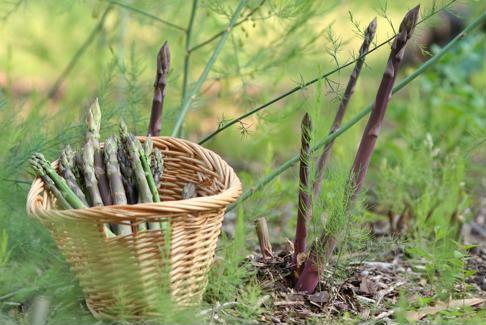 Turn your fresh asparagus into delicious seasonal dishes. To make your croutons, mix the bread chunks in garlic, oil, salt and pepper. Arrange on a prepared baking sheet and bake at 375 degree until golden brown - this should take about 15 minutes. Remove from oven and set aside. To make the dressing, mix all of the ingredients together in a small bowl and set aside. To prepare the asparagus spears, toss them in oil, salt and pepper. Grill them over medium-high heat until tender. Place asparagus on serving plate and top with Caesar dressing and croutons. Enjoy! 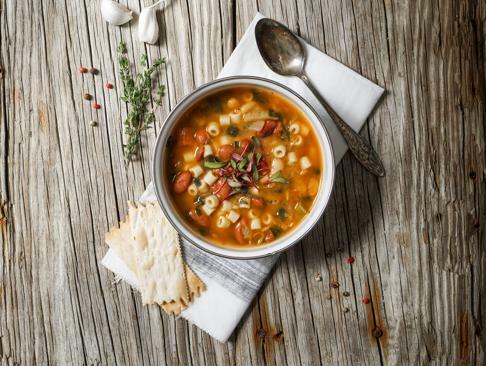 For the colder days of the season, cuddle up on the couch with a bowl of this delicious spring vegetable stew from Food and Wine magazine. First, simmer salted water in a medium pot over high heat. Add asparagus, cooking until tender - this should take about 4 minutes. Once cooked, transfer to a bowl. Add cranberry beans to water and simmer until tender - this should take about 40 minutes. Once cooked, transfer to bowl with asparagus. Set aside. Then, place a dutch oven prepared with olive oil over medium-low heat. Add scallions and cook until just tender - this should only take a minute. Transfer cooked scallions to the asparagus bowl. Add more olive oil to the dish and cook the mushrooms, seasoned with salt, over high heat until browned and tender - this will take about 3 minutes. Transfer to the cooked vegetables bowl. Prepare the dish with another tablespoon of olive oil and cook the carrots and turnips, seasoned with salt, over high heat for one minute. Then, add a cup of vegetable stock and cook and cover on low for about 15 minutes, stirring occasionally. Once the time is up, add another 1/2 cup of stock and cook until turnips and carrots are tender - this should take about 10 more minutes. Add the zucchini and another 1/4 cup of stock, cooking for another 4 minutes. Add remaining stock to the dish, as well as the lemon zest, lemon juice and lettuce. Cook, stirring occasionally, until lettuce is just wilted - this should take 20 minutes. Gradually stir in the crème fraiche to thicken the stew. Add the cooked asparagus, beans, scallions and mushrooms to the dish and let simmer for one minute. Serve and garnish with chervil and chives. Enjoy! Add noodles to the springtime vegetable stew for even more depth. Another great seasonal side, this recipe from Midwest Living magazine can complement any savory main dish. Place a large skillet over medium heat and fry bacon until cooked to crispy perfection. Transfer bacon to a paper towel to drain grease. Crumble bacon into small bits and set aside. Place the green beans in lightly salted boiling water and cook, covered, for about 5 minutes. Once time is up, place the green beans in a bowl of ice water to keep them from over cooking. Drain well and pat partially dry with a paper towel. Place the green beans, onion and butter into the skillet with bacon grease. Cook over medium-high heat until just tender - this should take about 5 minutes. Remove from heat and enjoy!